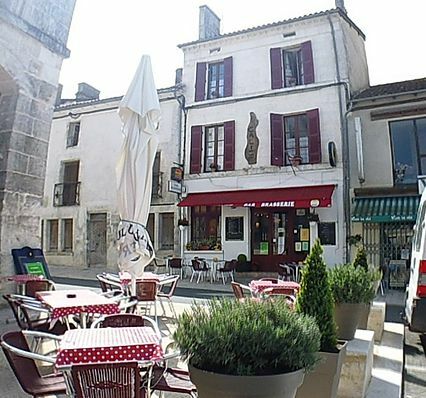 Le Calice is a charming and busy Bar & Brasserie situated in the centre of the vibrant village of Verteillac in the Dordogne region of France. Its just a 40 minute drive from Angouleme or Perigueux & 20 minutes from the town of Riberac. An ideal stopping point if you’re touring or visiting the many places of interest in the surrounding area. This busy Village has many amenities including: 3 other bars, 3 restaurants, 2 hair dressers, Post Office, boulangerie, boucherie, Huw’s Brocante, Booty; Rachel’s vintage clothes shop, a Tourist Information Office, paper shop & a huge shop (which I call the Harrods of the Dordogne) where you can purchase almost anything! Every Saturday morning there is mini producers market & a very large Brocante on the first Sunday of every month throughout the year.